When I was pregnant with both my boys I craved seafood like crazy. With my oldest I was dying for raw oysters, but because of the risk associated with eating raw seafood I had to avoid eating them raw. With my youngest I craved lobster. Eating seafood has never been a challenge for me. I could eat shrimp, tuna, lobster, clams, crab, and any other fish everyday for the rest of my life. However, I know that some people don’t eat that much fish or avoid it all together. Did you know that fish offers important nutrients and other things that are essential for healthy living such as Omega-3 DHA, Calcium, Vitamin-D, and Iron? The only mandatory entry is for you to share your suggestion below on how you will incorporate 12 oz. of seafood into your weekly diet or share with us what your favorite type of seafood is…. 4. Follow me on twitter @lisasamples and tweet this contest leaving me a link. (1 entry per tweet/2 tweets per day) Please leave time between tweets. This giveaway will end October 10th at 11:59 pm EST. Winners will be determined by Random.org or through random selector installed on my site and will have 48 hours to send contact information to lisa(dot)samples@gmail.com. US entries only. This listing is compliments of NHMHBC and I will receive the same basket as my winner, but my opinion is 100% mine and honest! I make a really good salmon wasabi patty for lunch. I love shrimp and trout. My favorite way to incorporate seafood into my diet is to add it to my salads. Especially tuna fish. My favorite seafood is Walleye, although Salmon is also good fresh out of the lake. I incorporate seafood into my diet weekly by having shredded fish in a tortilla with some lettuce. Good stuff. I am a new follower on GFC (Steph). Form into patties and fry. Oh we love seafood!! We have it many ways in a weeks time but we usually have salmon patties at least once a week. Just salmon mixed with egg and corn meal and fried!! Very yummy. I absolutely LOVE seafood. All kinds of fish, lobster, snow crab, oysters, clams, scallops. You name it, I can’t get enough! I think fresh crab meat is my favorite type of seafood! But I love all types of fish too 🙂 And tuna salad is my favorite sandwich. I voted for you on Top 50 Twitter Moms! Living in Washington I find there is an abundance of seafood available. We eat grilled salmon, crab sandwiches and more . The seafood is really a good, healthy choice. I almost forgot my favorite: Hangtown Fry-oysters, bacon and egg omelet-a favorite of the gold rush time. i love to add seafood like shrimp to my salads. I make Tuna Fish Cassarole, which my whole family enjoys. I add tuna to burgers for supper or have tuna salad for lunch. It will really easy to add this to any meal. My favorite seafood is swordfish steaks. I love the flavor and texture. I could eat Salmon 3 meals a day. I love to slice salmon and mix into my scrambled eggs. Yum. 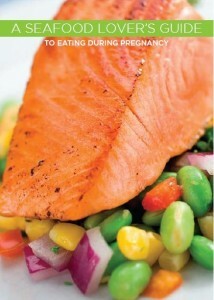 I’m currently pregnant – one of my aversions is chicken but I try to get shrimp in instead for the added protein! I absolutely LOVE Crab Meat…it is my favorite seafood by far dipped in melted butter. I’ll use the cans of seafood for making different baked pasta dished. My favorite seafood is shrimp. Thanks. My favorite seafood is Lobster! I love all kinds of seafood, but lobster is my favorite. I also eat a lot of salmon, tilapia and tuna. My favorite kind of seafood is crab and I make a wonderful crab dip that I eat more often than I should! I love baked Tilapia. I could eat it everyday! I love the White Albacore Tuna, it is my favorite on salad or in a sandwich. I’ll speak for my spouse, who eats seafood more than I – lots of crab is a biggie, along with various raw edibles. I like to eat smoked oysters on crackers for a quick and simple lunch. Tonight I’m going to do a quick shrimp scampi with olive oil, garlic, a little chicken broth, about two pounds of cleaned shrimp, and a pinch of italian and chicken grill seasonings. Cook with lid over med temp for 5-10 minutes, and you’re done. Put over butter or alfredo pasta for another option. My favorite seafood is trout! We love to eat salmon, trout, mahi mahi, tuna, shrimp…well almost every kind of seafood. This is a great prize pack! I love seafood, especially Salmon! Tuna Fish Sanwhiches for lunch daily! Love seafood but have to say salmon is my fave. I can easily commit do doing that once per week. Give me Lobster or crab, Yummmmm! My favorite seafood is tuna. In Hawaii they make it into poke. I love it. I love tuna on toast. I mix the tuna with a little salsa instead of mayonnaise to make it extra healthy! I follow your blog on GFC-sweetsue. We eat fish at least twice a week. I love wild Salmon, and discovered Baramundi while in Australia. Also love to have kalamari steaks! Fresh seafood is the best – I love grilled salmon with Zesty Salmon Sauce and grilled scallops marinated in Thai Lime and Cilantro are to die for! My favorite seafood is scallops. I love to make tuna salad on Monday in bulk so I can eat it throughout the week. My favorite seafood is crab. YUM! I love most all seafood (at least all that I have tried so far). My favorite is callimari! I love tuna, I could add it into my salads, thanks! my favorite is crab and we try to add salad shrimp to our nightly salads at least twice a week. I like salmon best, although I tend to eat tuna the most because it is so cheap. 2nd entry for Thai coconut salmon. I love shrimp…so I’ll have to save a few bucks each week to add that to my diet! My favorite seafood is crab. Especially crab legs. We eat seafood a lot and probably surpass the 12 ounces per week. Some of our favorites are grilled salmon, shrimp gumbo and crab soup. I am a fan of Life with Lisa via Facebook as Jill Myrick. I am a fan of Life with Lisa via Facebook as Jill Myrick #2. Salmon Steaks are my favorite Seafood. 1. I make a mixture of Extra Virgin Olive Oil, the juice of 1 or 2 Lemons and Oregano. I brush this on Salmon Steaks before, during and after grilling. 2. I make a mixture of Extra Virgin Olive Oil, the juice of 1 or 2 Lemons and Oregano. I brush this on Salmon Steaks before, during and after grilling. I voted @lisasamples as a Top 50 Twitter Mom. My favorite seafood is salmon. Thanks! I’m going to add 12 more ounces of seafood into our diet by using it more in our lunches. I am a huge seafood fan and eat it 2-3 times a week. I love all kinds so I try to buy what is the freshiest and plentiful(usually cheaper) each week. It is so easy and fast to cook a fillet of flounder, grouper, salmon etc or some shrimp. I try to get wild and sustainable fish. 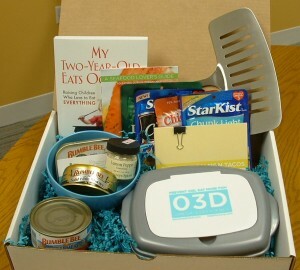 This is a great package for both seafood lovers and those that are trying to introduce fish into the family diet. My favorite types of seafood is ahi tuna and cod. 1. I subscribe to your emails. 2. I subscribe to your emails. I voted for you on top twitter moms. Shrimp is my favorite seafood! Salmon is my very fave type of seafood. I love Shrimp & if I could afford it I’d eat it several times a week. my favorite seafood is definitly crab legs, add a little garlic butter & I am a happy girl!! My favorite type of seafood is crab, but I eat tuna on a regular basis. I love seafood! It’s no problem for me to get 12 oz. of seafood in my weekly diet. We have salmon, tuna, shrimp or some type of fish like catfish, tilapia, etc. every other day or so. My favorite seafood is lobster. I like to try new recipes with tuna- last week I made quesadillas with tuna- my favorite seafood is shrimp. My favorite seafood is salmon, followed closely by fresh tuna. I Follow @SeafoodLovers on twitter and tweeted. Add seafood to salads- whether green, pasta or whatever. It’s an easy addition and I actually don’t care for seafood on its own so this is something I could do. I love seafood, I love to make tuna salad, with celery,pickles,eggs,onion,mayo then eat on cracker or top my salad. Also love tuna pasta & Salmon Cakes. I eat at least 12 oz. of tuna each week. Scallops are my favorite type of sea-food. Thank you. I follow on Facebook and Twitter. Thank you. My favorite seafood is sea bass. A way to incorporate 12 oz of seafood into a weekly diet….we go once a week to our favorite sushi restaurant for their half price sushi night! One of my favorite recipes uses two cans of tuna, several chopped celery sticks and green onions. Add a can of drained black beans, some lemon juice and olive oil to coat and to taste. A quick, healthy meal. I try to eat tuna once a week,that is how i do it! We love seafood and easily eat 12 ounces per week. I can put tuna or salmon in my lunchtime salads a couple of days in a week. We can have salmon, crab cakes, baked fish or a shrimp entree for dinner a time or two each week. Combine all ingredients and mix well. Chill until ready to serve. Serve with crackers or over a green salad. This is a great and healthy lunch! My favorite is Coconut Butterfly Shrimp. I loooooove fish, salmon to swordfish to cod to mahi mahi, love it all! My favorite type of seafood is salmon. I love it covered in as much lemon as it will hold! Although wasabi crusted tuna is a very close second. My favorite type of seafood is crab legs dipped in butter mmmmmm….. I subscribed to your email feed. #1 Thanks! I subscribed to your email feed. #2 Thanks! But there’s no lobster in the giveaway! Whine. I love just about any kind of fish or seafood (except scallops). I usually have tuna, sardines and what ever kind of fish is in my freezer. I buy it when it’s on sale, eat one meal fresh, and freeze the rest in meal-sized packets. This is very close to my favorite recipe. I can incorporate 12 oz of seafood by serving a seafood fillet at least once a wk, putting tuna in a sandwich (either tuna salad or in a pita) once a wk and stirfrying shrimp once a wk. We love seafood. Thanks. I like to make a simple shrimp scampi by preparing pasta of choice…I use spaghetti. Then I stir fry garlic and onion or scallions in a bit of olive oil, add lemon and shrimp the last few minutes, then put on pasta and top with Parmesan. Quick and yummy!! Thanks. Both of my younger daughters are vegetarian and only eat fish, so I already incorporate more than 12 oz in our weekly diets. My favorite, however, is salmon! I follow on GFC as jewelknits! Invite your friends over for a weekly fish fry. Even though frying is not the healthiest method of cooking, you will still incorporate fish into your diet with a side order of fun with your friends.